The CITyFiED Project, coordinated by the CARTIF Technology Centre and which brings together a further 20 partners with a shared objective, enjoys a provision of €46m of which €26m is funded by the European Commission.Two years after starting work in the district of Torrelago (Laguna de Duero, Valladolid) as part of Europe’s CITyFiED Project (RepliCable and InnovaTive Future Efficient Districts and cities), the implementation of its selected energy efficiency measures is already clear to see. Financed by the VII Framework Programme, its main objective is two-fold: (i) to deliver a replicable, systemic and integrated strategy that transforms European cities into smart cities, focusing on actions to reduce energy demand and GHG emissions as well as the increased use of renewable energy sources; (ii) to address the definition of new business models to implement such strategies in other parts of Europe and thereby accelerate the creation of near zero energy districts. The district of Torrelago in Laguna de Duero (Valladolid) is undergoing a radical change as regards urban sustainability. 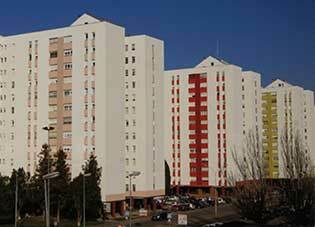 Of the three demo sites involved in the CITyFiED project, Torrelago is the largest with 1,488 dwellings and 140,000 m2 of retrofitting area.